Air is a topper similar to a thin mattress, entirely made of a transpiring fibre that guarantees a proper aeration, a correct humidity absorption and the right air flow. Designed to protect the mattress surface against wear, dust, and stains, it makes your bed even more salutary. It is in fact characterised by anti-mite, hypoallergenic, and anti-mould properties, that can also contrast bed sores. This topper is only 2 cm thick and does not increase the mattress height much. 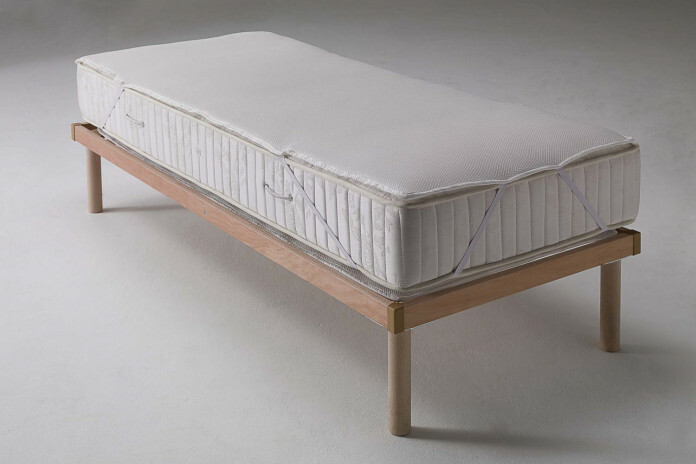 To easily fasten it to the mattress and use it, it includes four lateral elastic strips.